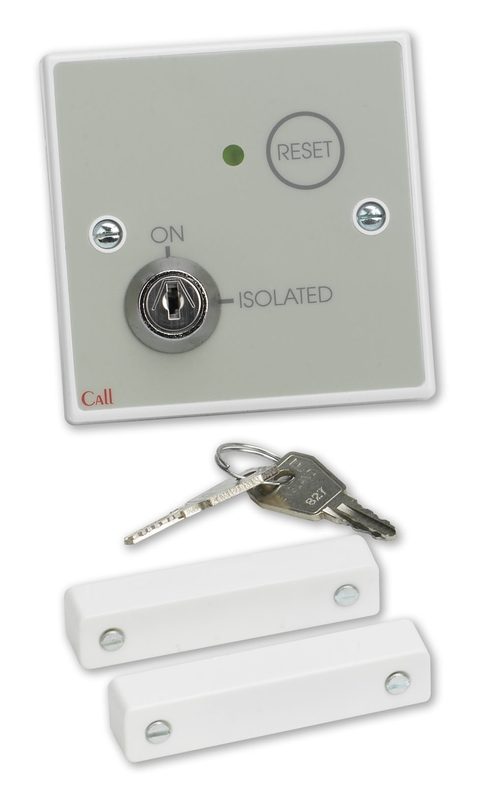 A keyswitch-isolatable monitoring point c/w magnetic door contacts for use with C-TEC's 800 Series Call System. Can be used to monitor any device with a normally open or normally closed switch. Typical uses include monitoring fire exits, drug cupboards, store rooms, etc. Isolation keyswitch temporarily turns off the device's monitoring function when in the ISOLATED position. Red reassurance LED illuminates when a call is made. Includes a magnetic RESET 'target' for the secure cancelling of calls (requires a separately available NC803M magnetic reset key). Indicators Red Reassurance LED (lit constant for Standard calls). 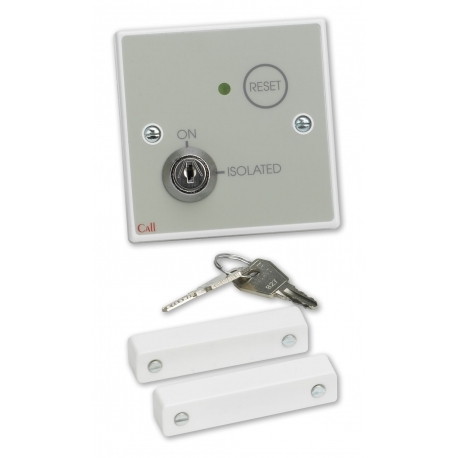 Controls Isolation keyswitch (switches monitoring off when ISOLATED); magnetic Reset target (cancels Standard calls made from the monitoring point and from other devices wired on the same Zone). Reset operation requires an NC803M magnetic reset key. Connections SIG (Signal); RC (Signal); -Ve (Negative); SW- (Switched Negative); NO (normally open connection); NC (normally closed connection); T (trigger connection). PLK1 link for n/o or n/c operation. Product dimensions (mm) 87 W x 87 H x 33 D mm. Mounts on a UK 25mm single gang back box.